Impero Software announces the upcoming launch of a new cloud-based product portfolio comprised of three core modules - EdTeach, EdProtect and EdAdmin. Impero Software, provider of student safety and device monitoring and management solutions, announces the upcoming launch of a new cloud-based product portfolio comprised of three core modules - EdTeach, EdProtect and EdAdmin. 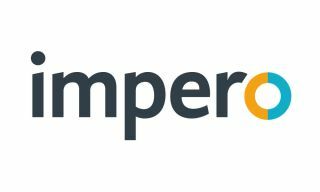 This new cloud version of Impero Education Pro (version C1.1), available on a SaaS basis, includes an enhanced web interface to provide schools with intuitive, simple navigation. The new web interface of version C1.1 can be accessed from any browser using the internet. Impero Education Pro combines three core modules into a single user interface offering classroom management, network management and student online safety. Impero EdTeach for classroom management provides multi-device monitoring, including the ability to remotely view, manage and control devices such as Chromebooks, Windows, Mac and iOS to support schools with 1:1 programs. Impero EdProtect for student safety allows counselors, teachers or administrators to receive real-time alerts if students type or search for keywords and phrases that may indicate concerns around bullying, self-harm, suicide, mental health and more. In addition, Impero recently announced the launch of EdAware, a next-generation digital student safety solution. Schools use Impero EdAware to record, analyze and store multiple types of student safety information, from depressive episodes to risky online behavior, to help identify potential safety risks and enable informed counseling sessions, behavior management conversations and safeguarding interventions.